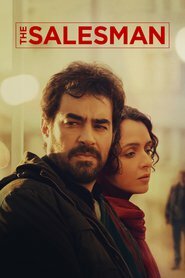 Forced out of their apartment due to dangerous works on a neighbouring building, Emad and Rana move into a new flat in the centre of Tehran. An incident linked to the previous tenant will dramatically change the young couple’s life. A very intriguing movie. Subtle and yet riveting. The acting is superb. The ending of this movie is brilliant and totally surprising. Looking into another culture which deals with issues quite differently to one’s own was fascinating and educative. If you saw the director’s previous movie, A SEPARATION, and liked it, don’t miss this one. A fascinating look at some very deep themes.